BSP chief Mayawati today lashed out at the BJP claiming the incident in Madhya Pradesh’s Dhar district, where aspirants for the post of police constables reportedly had their caste categories written on bare chests, was just a fresh example of the saffron party’s new found love f0r Dalits. Mayawati also questioned the “silence” of top leaders including the prime minister on the issue. “This is the new and fresh example of BJP governments’ new found love for Dalits for their political gains,” Mayawati said in a statement released here referring to the Dhar incident. 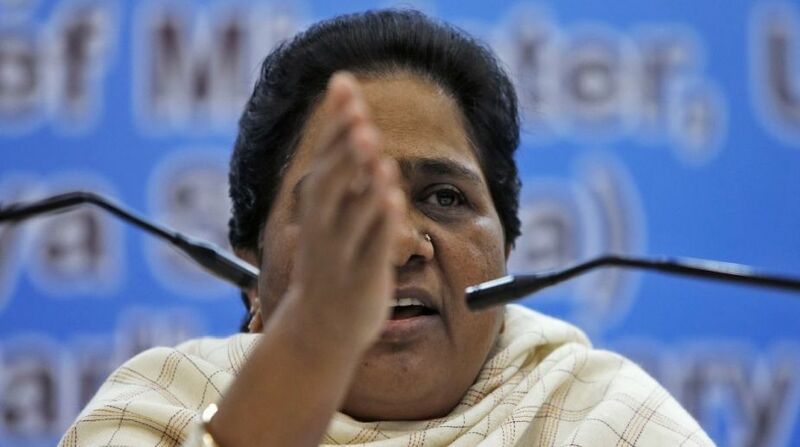 The BSP chief, in her statement, asked why top BJP leaders had not condemned the incident. Does it suit the BJP and company, and the prime minister himself, to remain silent, (and) not to condemn such a casteist incident, she asked. Mayawati demanded the officials responsible for the incident should be punished while the Centre needed to issue strict orders to check recurrence of such incidents anywhere in the country. Referring to the Dhar incident as a “criminal act”, Mayawati said it was because of the casteist and spiteful attitude towards the Dalits, Tribals and backwards that they were forced to convert as the Una case in Gujarat had shown. The BJP needs to realise that besides self-respect, Dalits are also vigilant towards their interests and will never fall into the trap of anyone’s allurements, she said. The Dhar incident had come to light when photographs in various newspapers showed aspirants with “SC” (Scheduled Caste), “ST” (Scheduled Tribe) and “G” (General) marked with sketch pens on their chests as they queued up for their medical examination. Those conducting the medical examination process had told police that the markings were made to differentiate candidates belonging to different categories as the physical requirements for each of these categories were different.